Health disparities are aggravated when prevention and care initiatives fail to reach those they are intended to help. Groups can be classified as hardly reached according to a variety of circumstances that fall into 3 domains: individual (e.g., psychological factors), demographic (e.g., socioeconomic status), and cultural-environmental (e.g., social network). Several reports have indicated that peer support is an effective means of reaching hardly reached individuals. However, no review has explored peer support effectiveness in relation to the circumstances associated with being hardly reached or across diverse health problems. 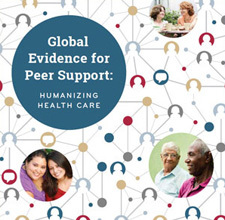 To conduct a systematic review assessing the reach and effectiveness of peer support among hardly reached individuals, as well as peer support strategies used. Community-based health workers (CBHWs) are frontline public health workers who are trusted members of the community they serve. Recently, considerable attention has been drawn to CBHWs in promoting healthy behaviors and health outcomes among vulnerable populations who often face health inequities. We performed a systematic review to synthesize evidence concerning the types of CBHW interventions, the qualification and characteristics of CBHWs, and patient outcomes and cost-effectiveness of such interventions in vulnerable populations with chronic, noncommunicable conditions. To assess the effects of peer support at improving glycemic control in patients with type 2 diabetes. Relevant electronic databases were sought for this investigation up to Dec 2014. Randomized controlled trials involving patients with type 2 diabetes that evaluated the effect of peer support on glycated hemoglobin (HbA1c) concentrations were included. The pooled mean differences (MD) between intervention and control groups with 95% confidence interval (CI) were calculated using random-effects model. The Cochrane Collaboration’s tool was used to assess the risk of bias.